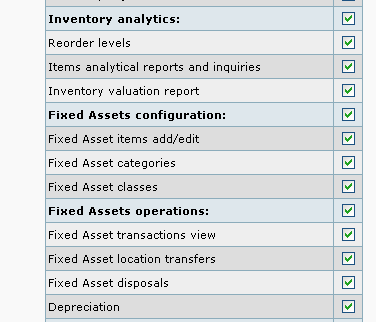 The Fixed Assets module allows fixed assets to be registered into your accounts; Assets are defined by classes, categories & location and uses a base depreciation rate with a rate multiplier for linear depreciation calculation. 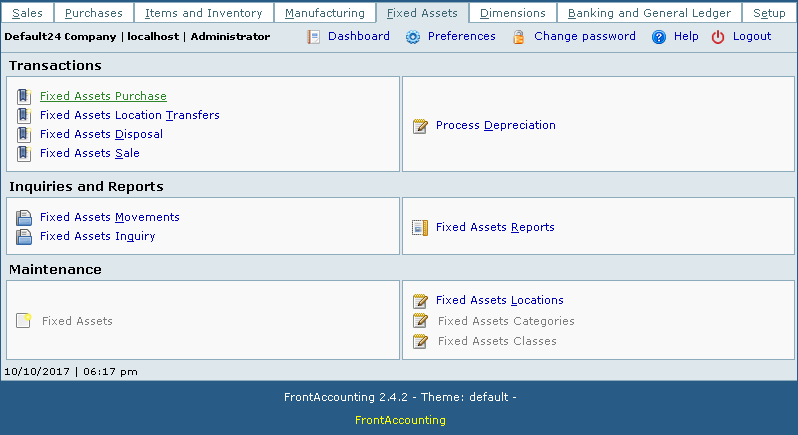 Along with the Manufacturing, this module too can be hidden from the user interface in Setup => Company Setup. Note: This module is native to FA 2.4.x whilst it is an external package addon in FA 2.3.x and earlier. Checking the math, you know you can�t depreciate past salvage value, so adding depreciation expense in all years equals original purchase value.